This question is based on my desire to avoid disturbing, injuring, or scaring away an octopus which is camouflaged to look like a coral reef. Since it's so difficult to see, I'd like to know how to tell where it is! Corals are sensitive animals and easily killed, so purposely touching them is not an option. Octopus behaviors are similar across the species, so the question isn't just about the one I'm describing, and all answers are welcome! 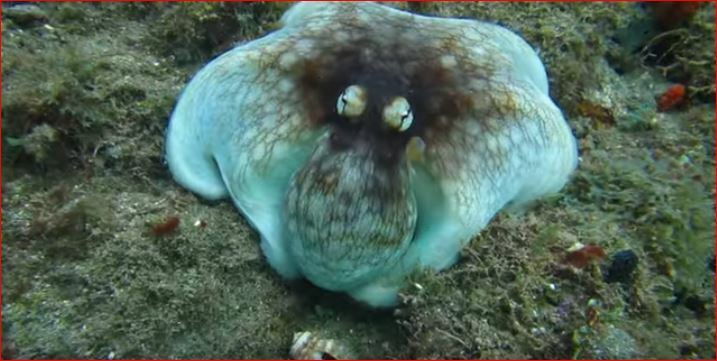 One species of Caribbean reef octopus is mainly bright blue with a bit of brown on the head. (The blue glows in the dark!) Like other octopus they completely camouflage themselves to blend in with the coral in the reef. It's so vital to their survival that if they move to a different colored location, they change their colors to match. The life of a Caribbean reef ends with reproduction. The male dies shortly after mating. The camouflaged female burrows in and incubates up to 1,000 eggs without leaving them or eating. After they hatch and thrive on their own, she dies. I'm always concerned about protecting the octopus from people, but especially during incubation. Scaring the mom away risks eliminating the next generation. 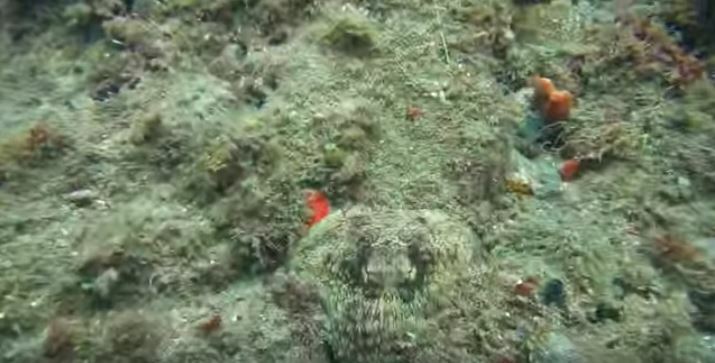 Scientists agree we can cause an octopus (either gender) to leave its burrow. 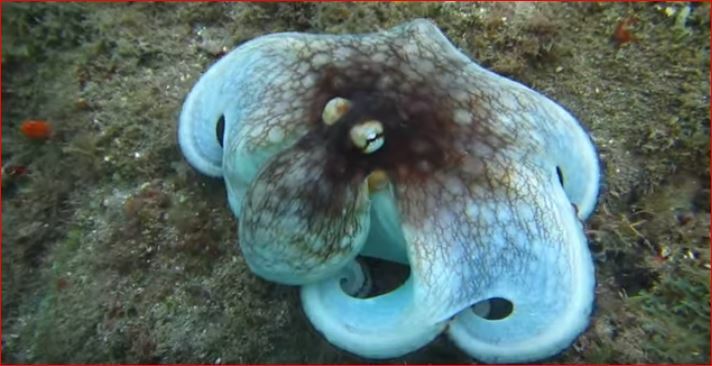 If I were to scuba dive responsibly near a coral reef, as a spectator or scientist, how would I tell if an octopus is in there? As I said, purposely touching the coral isn't an option. Do they perhaps emit a smell? 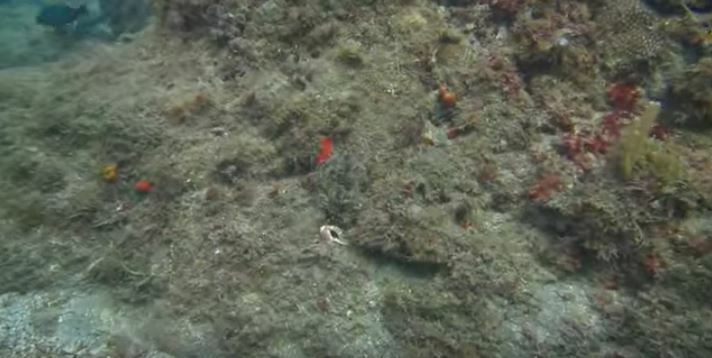 Can you tell by which fish are nearby, potentially for food? What about the depth or temperature of the water? Is it something else? 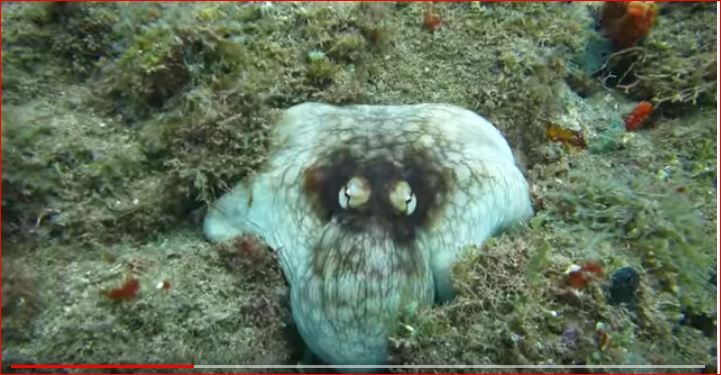 To illustrate the process of a camouflaged Caribbean reef octopus emerging from its hiding place in the coral, I've taken still pictures from this 25 seconds long YouTube video. Browse other questions tagged animals animal-behaviour sea scuba-diving conservation or ask your own question. How can I tell if a opossum is truly dead? How can I stop my scuba mask from pulling away from my face after equalizing? How to keep away animals from my camp without setting a fire?